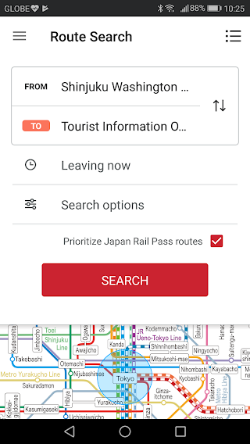 “JAPAN OFFICIAL TRAVEL APP”　by JNTO is a very convenient app for your exploration in Japan. 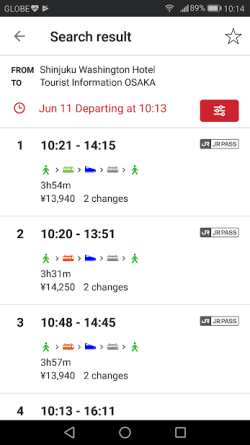 Some routes, necessary time and fare will be displayed. 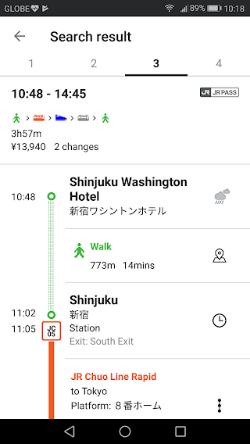 Four routes are displayed in this search. This display is the third"3" route. 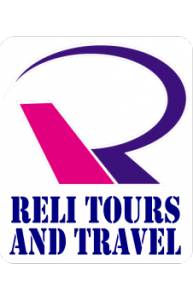 The details of route will be displayed.